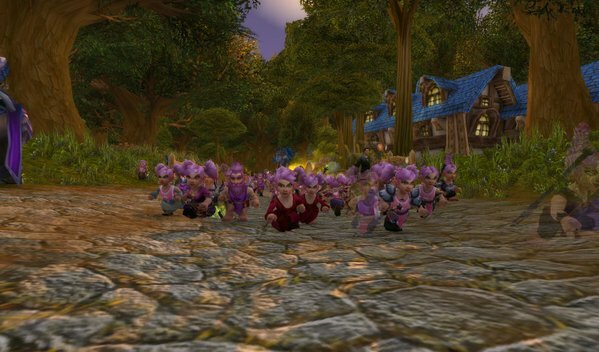 Tonight I participated in my first “Running Of The Gnomes.” This charity event has been taking place every year since at least 2009 to raise money for breast cancer. This year’s money goes to The Cleveland Clinic, creators of the Tuohy Vaccine, which is currently in the early stages of human clinical trials. 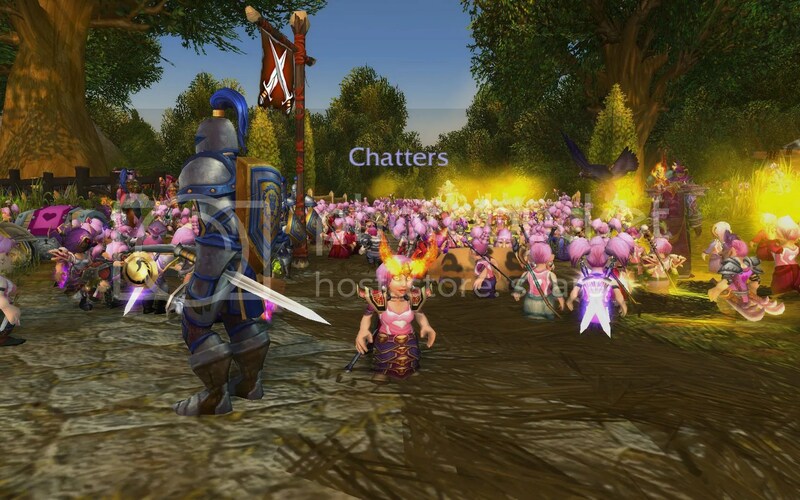 I started around 7pm Eastern time tonight on Scarlet Crusade server by making a pink-haired gnome named Chatters. 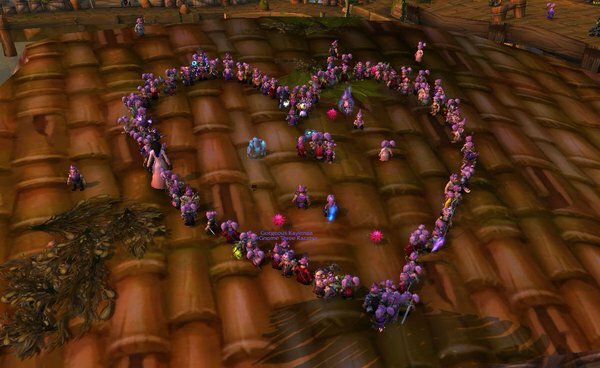 I was put into an official running guild and given a pink heart tabard, which took around 20 minutes. There were a ton of gnomes everywhere! The race started at 8pm Eastern. 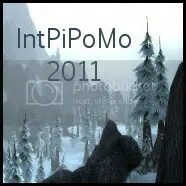 I was a bit behind at first because there was so much phasing that I didn’t even see people leaving the starting area. I also had bad luck in Ironforge by falling off the tram on the way to Stormwind City. 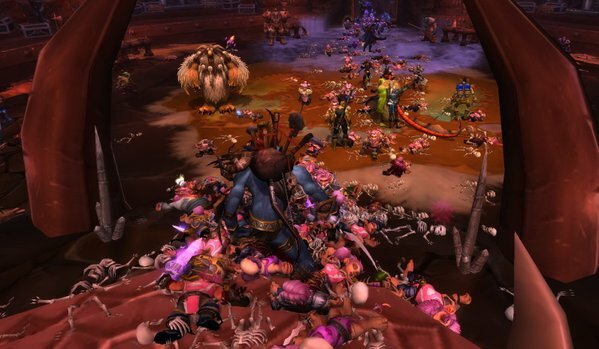 Apparently this might have happened to others as well because there was a regrouping outside the gates of Stormwind City. From Stormwind City, we went to Duskwood then Stranglethorn Vale to Booty Bay. 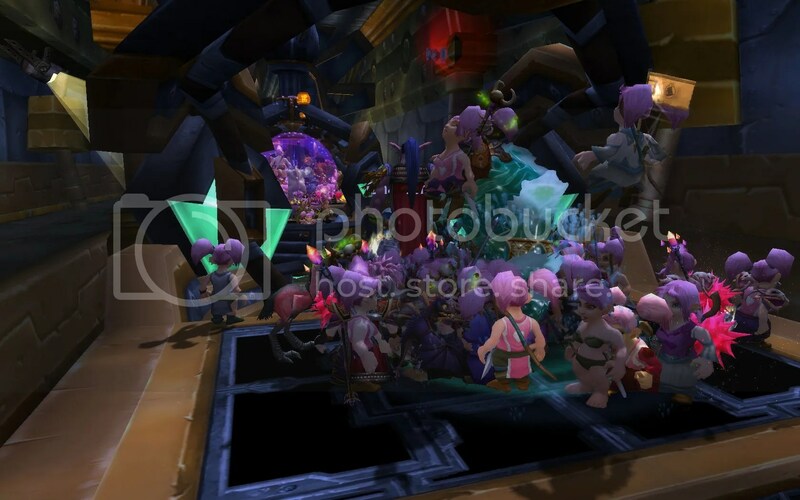 As we gathered on the roof of the Booty Bay auction house, the world server crashed. After this, my toon was sent back all the way to Duskwood, which was frustrating. Plus I then got baby aggro, so I had to bow out. 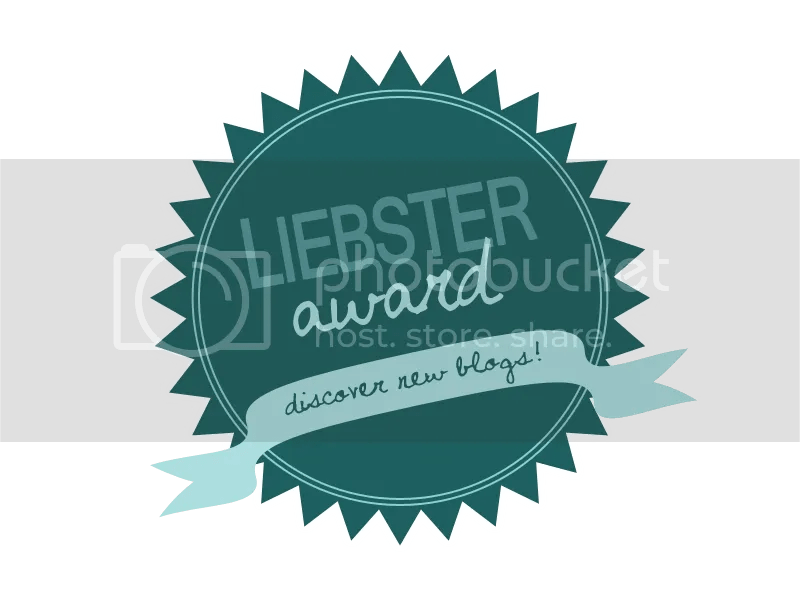 Here are some screenshots from other participants of what I missed…. You can also watch the entire event on twitch! There were several streamers… this one is from twitch user, ElvineMod. Congratulations for another successful gnome event! 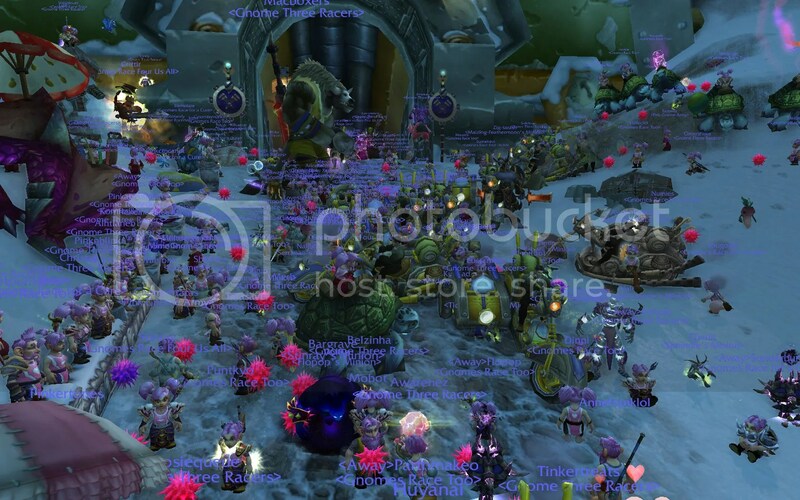 There were 2454 gnomes running, and over $3400 has been raised for The Cleveland Clinic so far! Click here to donate!